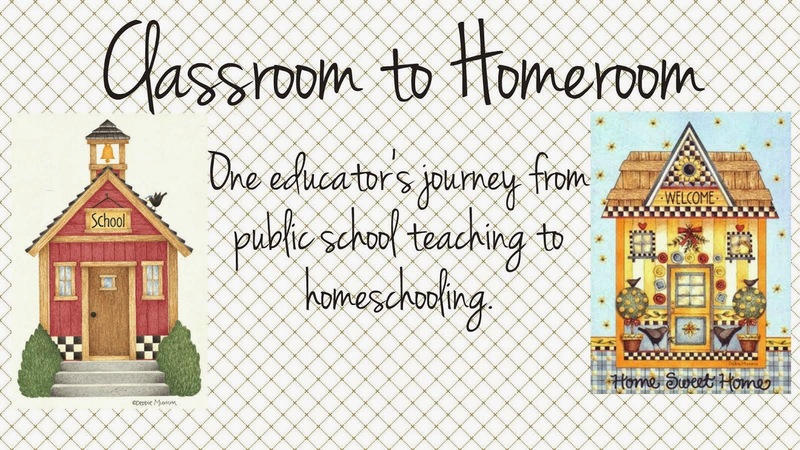 Homeschool Curriculum Free For Shipping asked me to weigh in on their homeschooling encouragement series "I've Been There." 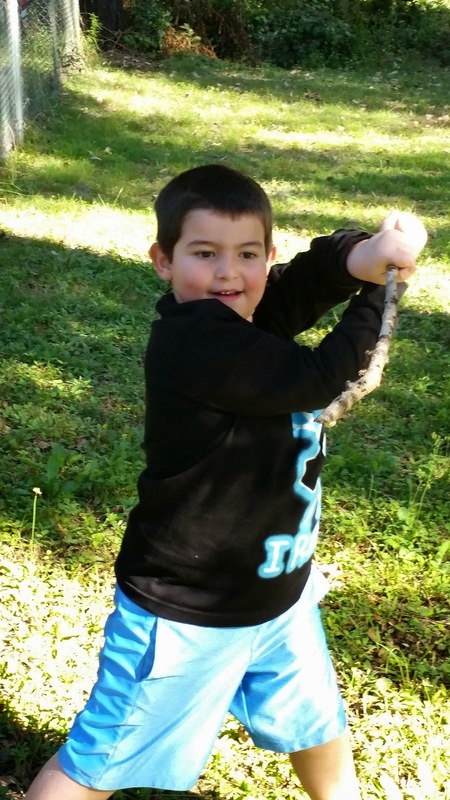 You can check out my post here. Sometimes (err, most of the time) it's the little things. Listening: YES! I let TC (our son) watch a show in the morning while I gather my thoughts and wake my brain to the day. I am *not* a morning person, and this little deal works wonderfully for us. 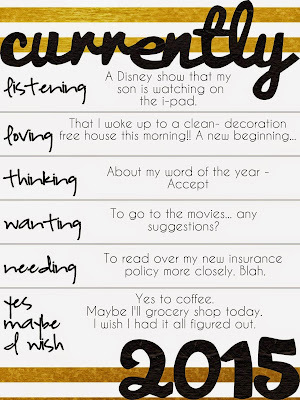 I've blogged about this in the past, and it's part of my way of capturing a moment in the day for myself. Loving: Yesterday I worked hard at getting the final holiday decorations put away and then I was on a roll! 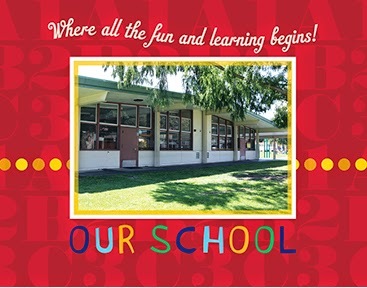 I organized our classroom area, re-designed our classroom wall, purged some unused items and pulled out some new-to-us resources to start school with on Monday. LOVED waking up to everything feeling clean, fresh, and new. Thinking: I chose a word of the year for myself. This practice has been ALL over the blogosphere this week. I have not participated in past years, but I'm fully embracing it this year. 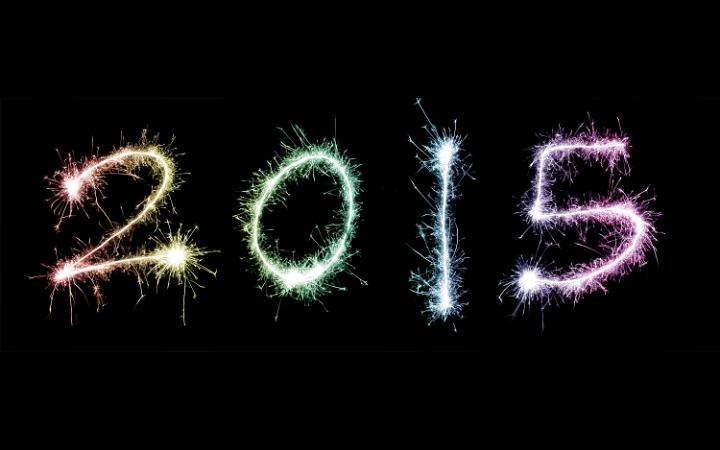 I was motivated by Susannah Conway's Unraveling the Year 2015 workbook. You can download it for free *here*. I loved working through this workbook and choosing my word. 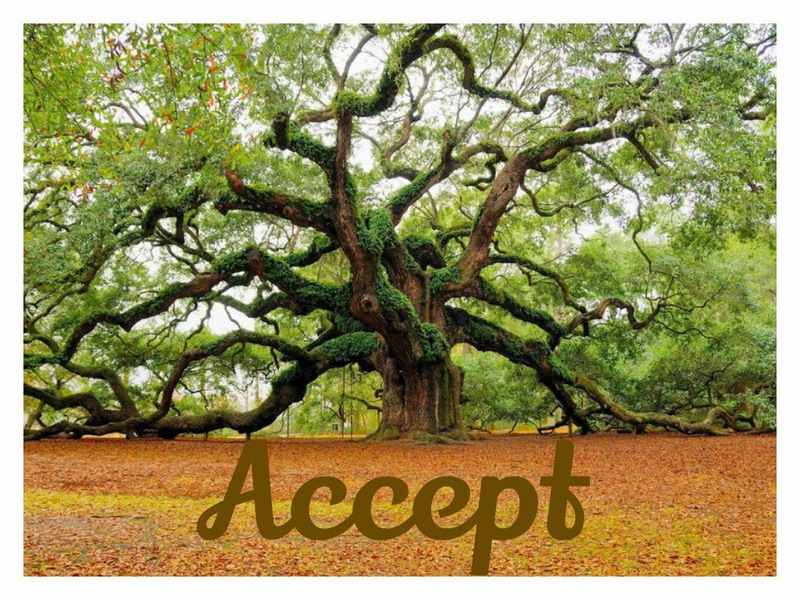 I chose the word ACCEPT. I'm going to use this word as a guide throughout the year so that I can remember to accept myself, others, and situations for what they are. I'm going to attempt to stop busying myself with trying to change things that are not within my control. Rather I will accept them for who/what they are. I'm excited about using this word to guide me to a more peaceful place this year! 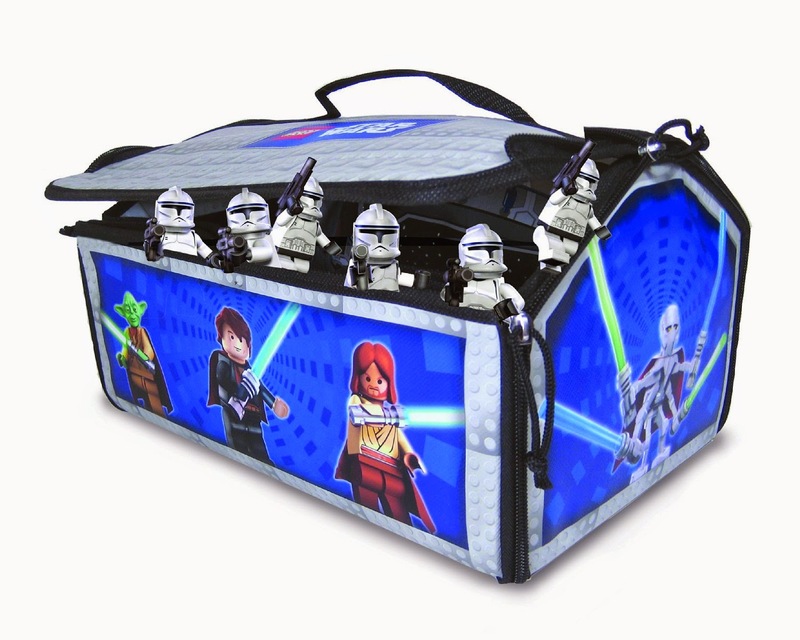 Wanting: We haven't been to the movies in quite a while. As a matter of fact, I think the last movie I saw in a theater was Maleficent with a dear friend. (OK, so it hasn't been THAT long.) For some reason I've had the movie bug but I'm having a difficult time choosing a movie that feels worth the outrageous ticket prices! 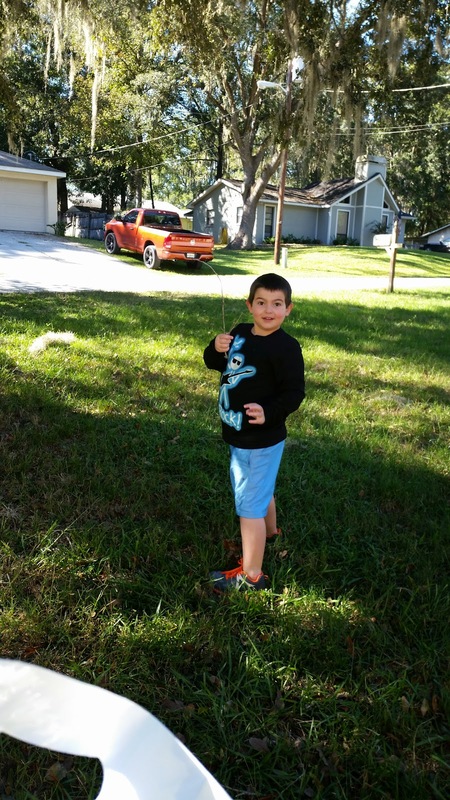 These decisions weigh much more heavily on me now that we are a one income family. It's a whole new world. Needing: So I was "on top" of things and sat down to choose a healthcare plan (and paid for it) before the Jan 1st deadline, but I admittedly need to sit down and really read and come to an understanding of what this new plan means for my family as far as coverage is concerned. 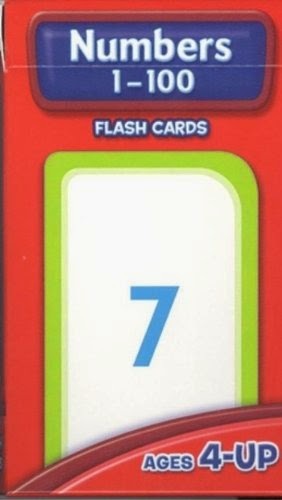 I'm not excited about it- and I'm hesitant because I feel like we're being robbed- but that's a whole other blog post! Yes: I need (er, want) coffee. I haven't been drinking coffee on a daily basis. I've switched it up to hot lemon water first thing in the morning, followed by the occasional cup of coffee purchased outside of the house. I had great intentions for health and financial reasons, but this morning - I MISS my coffee. Maybe: Grocery shopping. Maybe I will, and maybe I won't. I hate it. I put it off. I probably won't. 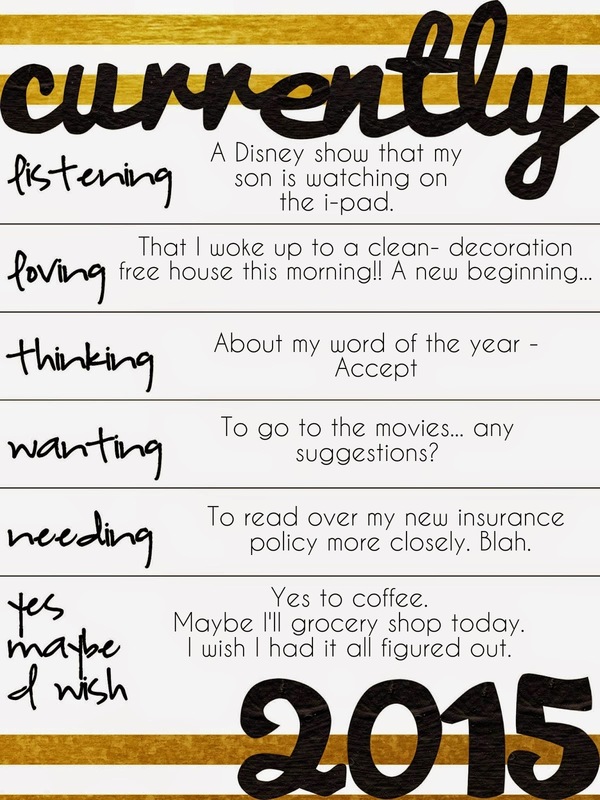 I Wish: I had it all figured out. That's all there is to it. 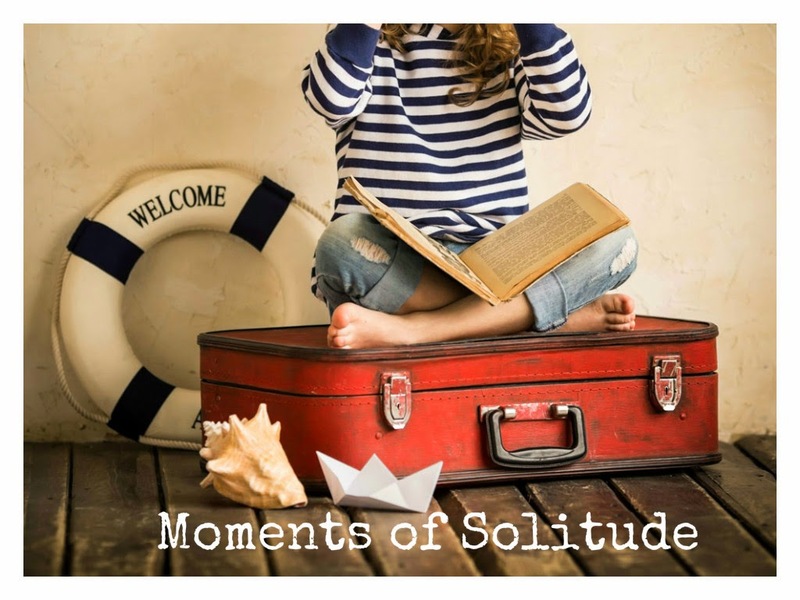 Don't forget to check out the other blogs participating in the linky party! I love nothing more than an organized room and Neat-Oh! 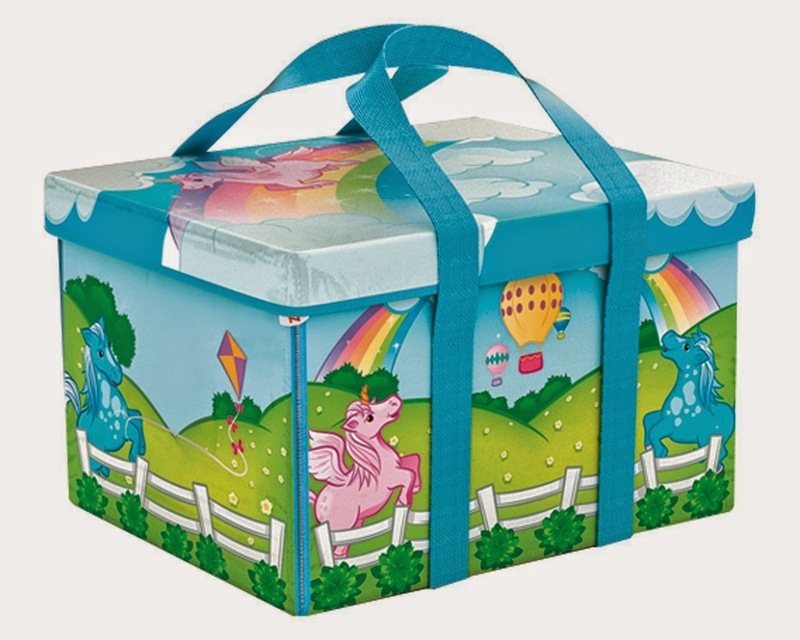 Zipbins are perfect for organizing toys and collections. They come in all different sizes, themes, shapes, and colors. 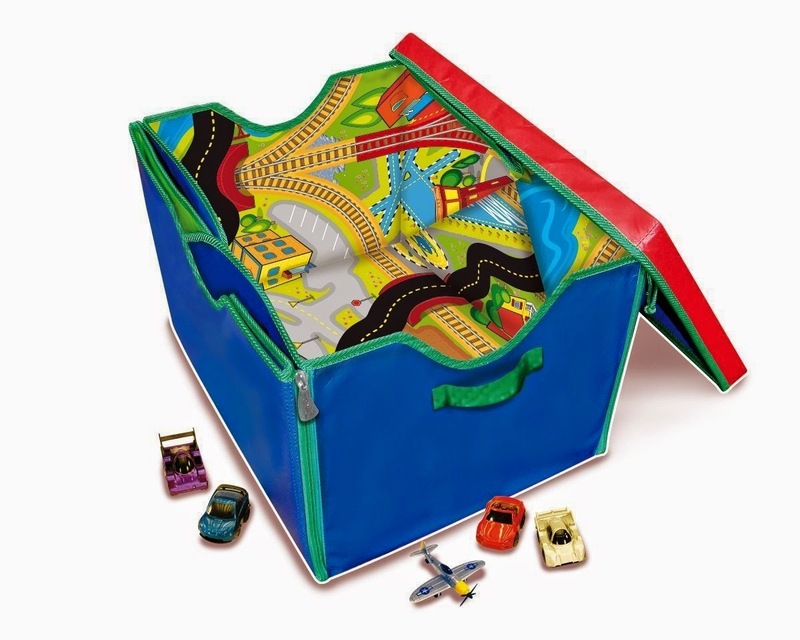 The beautiful thing about them is that they are great storage bins, and when it's time to use what you've stored inside of them they unzip and turn into great play mats. 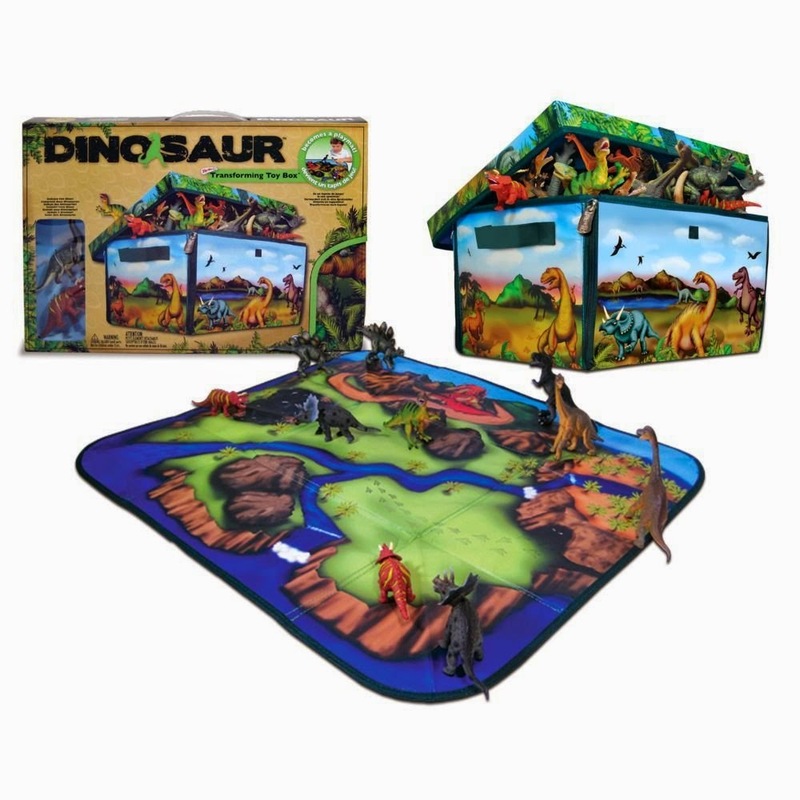 When it's time to clean up, the play mat then zips back into a storage box! 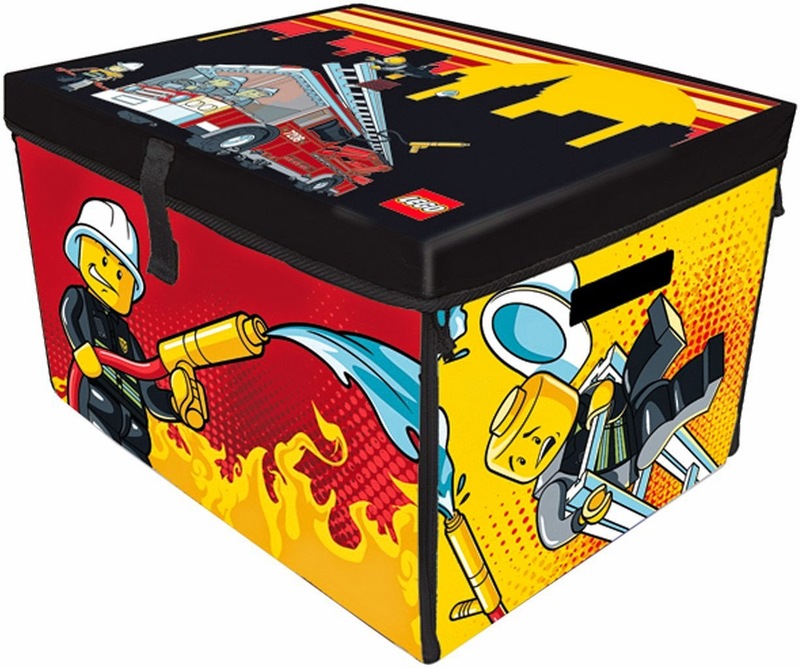 We eventually bought some other themes for building blocks and other toys. 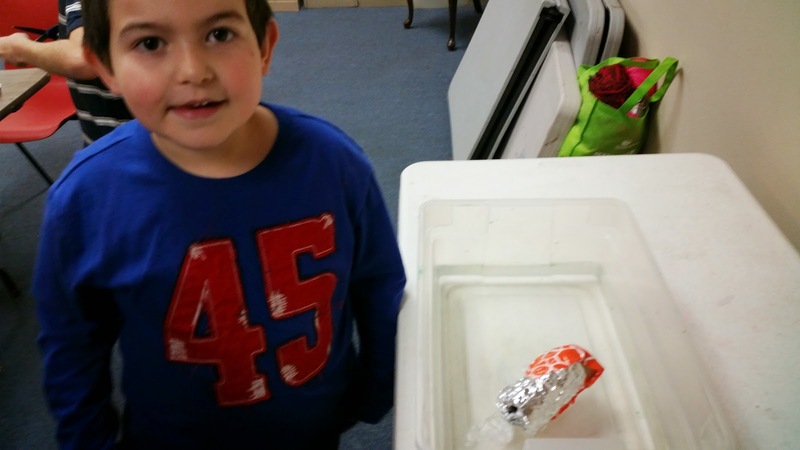 Although they were created with toys in mind, we have found many other uses for them. 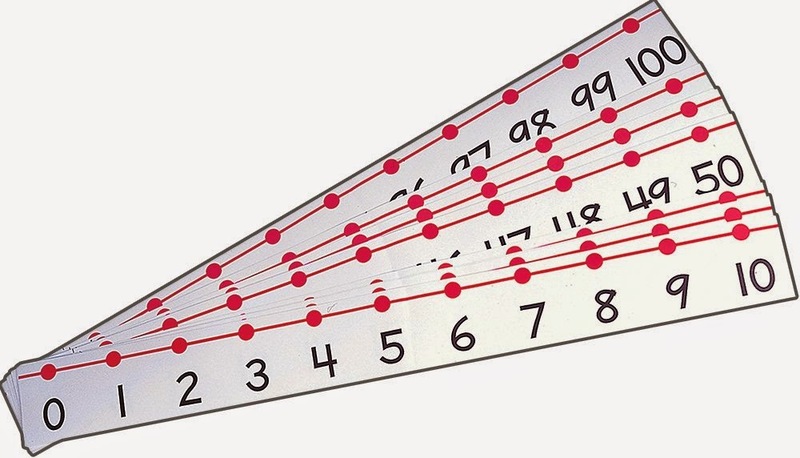 In the classroom I loved using them for manipulatives, and at home we have used them for our curriculum supplies and crafts. Here are a few more examples of some of the themes and sizes that are offered. The possibilities are endless. Neat Oh! 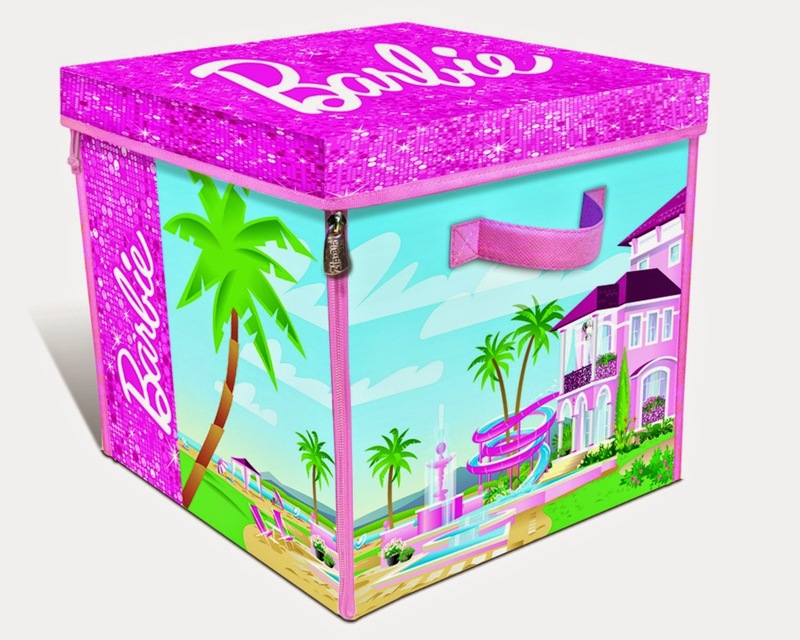 Zipbins are one of my favorite organizational items because they become part of the activity, make for easy clean up, and look nice on the shelf. They also double as great gifts! Don't forget to visit Fun in Room 4B for the linky party! This month we spent some time learning about Native Americans, and their role in the first Thanksgiving. I let my sons interest steer the studies throughout the month too. 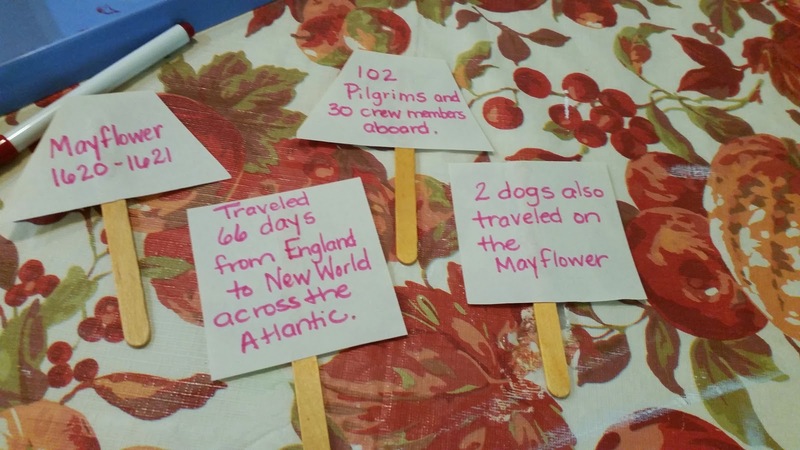 First we learned about the Mayflower, as it was fitting to explain who was here in the New World when the Pilgrims and Puritans arrived. We used this great virtual field trip at Scholastic to learn about the ship. Afterwards we created sails out of construction paper. We discussed and wrote some important facts on the sails. 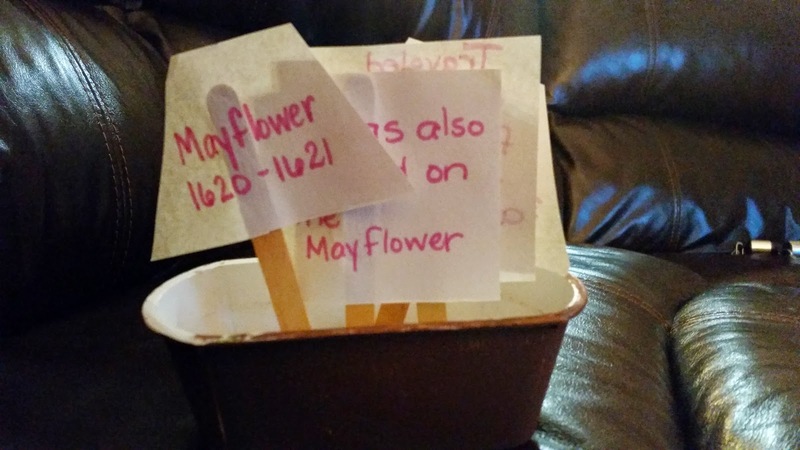 We then glued them to craft sticks, and painted an empty butter container brown. 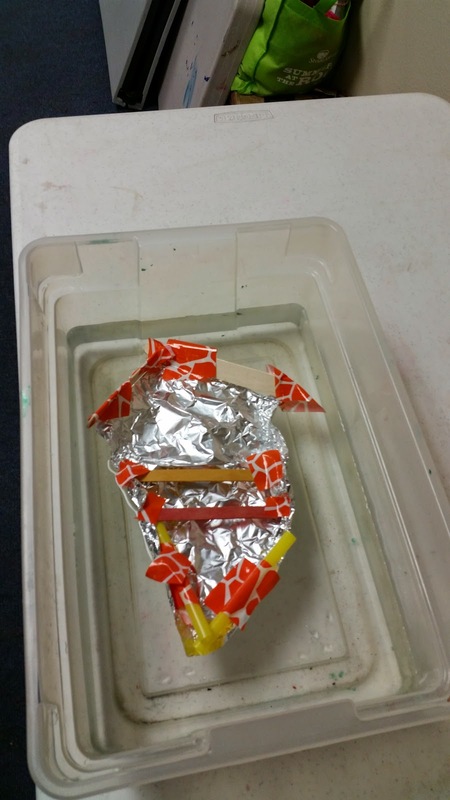 Lastly, we took a handful of clay and placed it into the boat, stuck the craft sticks into it, and the ship was complete! After that activity we watched "This is America Charlie Brown (The Mayflower Voyages)" which can be viewed here. 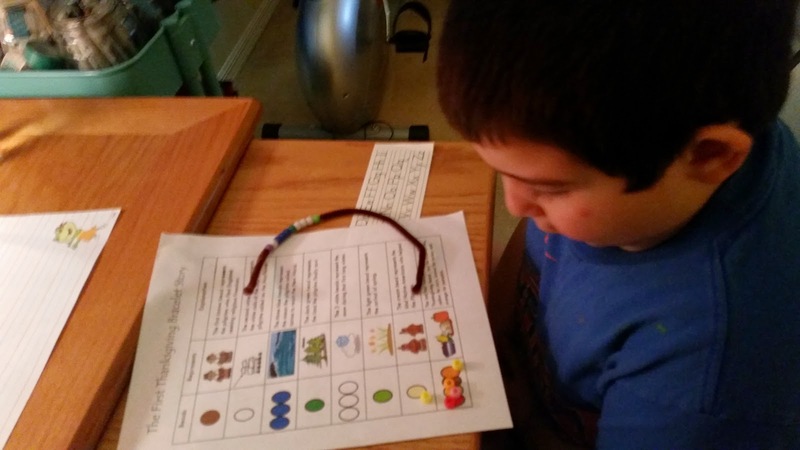 We then proceeded to a learning activity that was sparked by my sons interest. He had previously seen teepe's at a local Native American festival, and was interested in learning more about how they were built and used. The book Look Inside a Tepee provided a great overview, and helped him to understand that it was the Plain's Indians who used teepes. 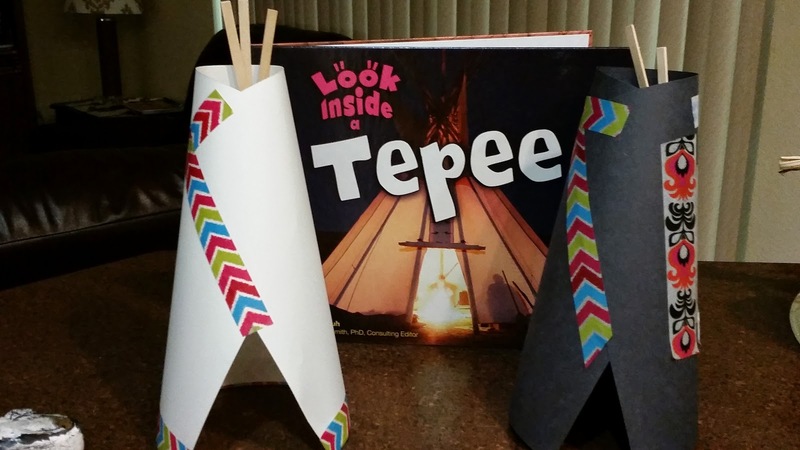 After reading the book we created our own teepe's with craft sticks, construction paper and washi tape. 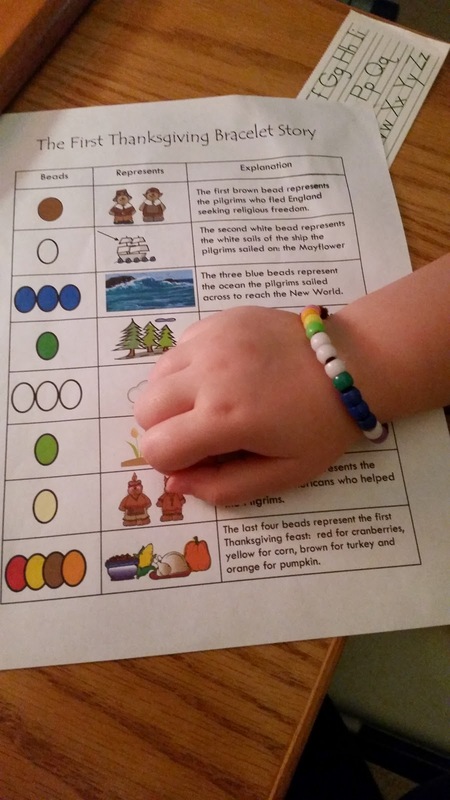 We revisited the story of the first Thanksgiving by completing this story bracelet. 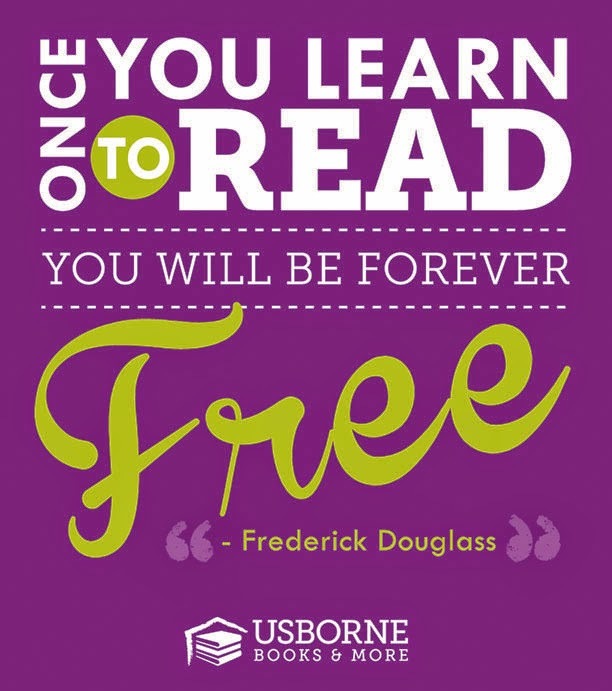 I found the free printable over at Inspired by Kindergarten. We were missing a couple of colors for the beads, but we substituted, and the activity was a hit! 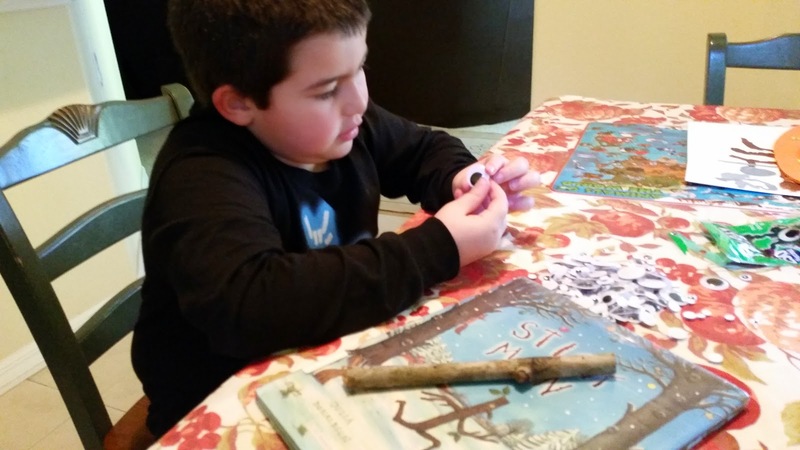 Our son was able to repeat the story and tell others what each bead represented. 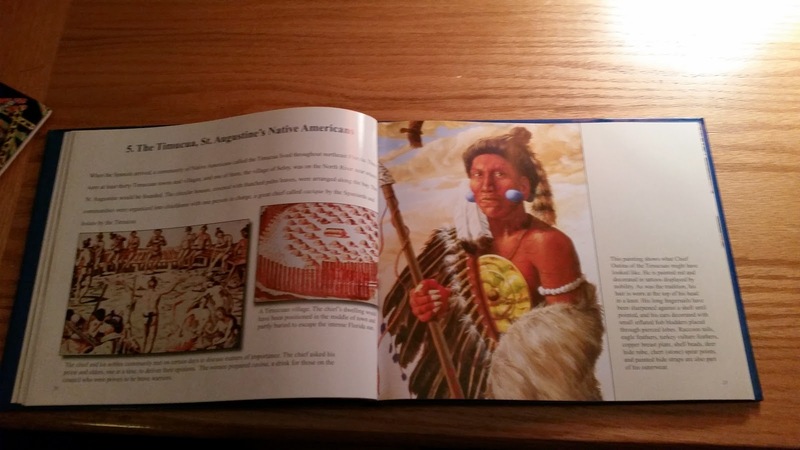 After the activity our son was still interested in learning more about how the Native Americans lived prior to the Pilgrims arriving. 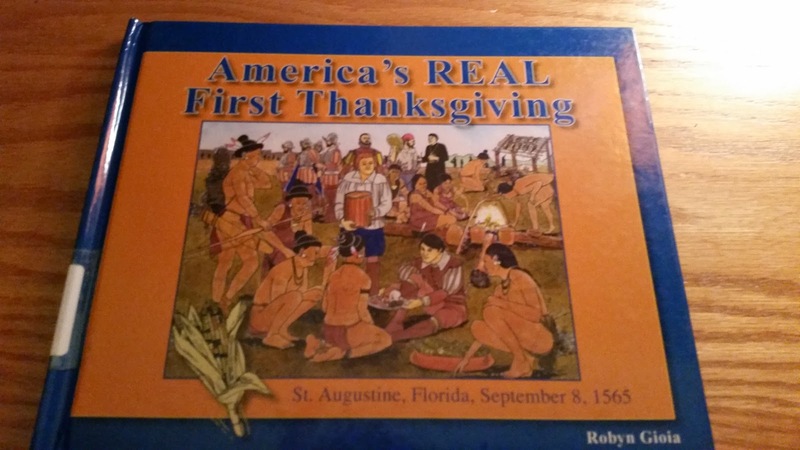 Even though the book America's REAL First Thanksgiving is admittedly for more advanced readers, and disputes the first Thanksgiving we had been learning about, we decided to use it to gain some more insight into the Native American community of the Timucua. 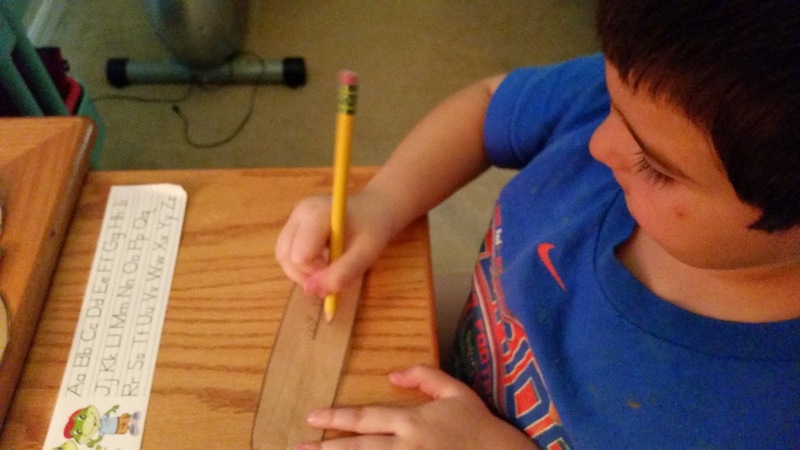 Our reading sparked my son's interest in canoes and how the Native Americans designed them. We did some extended reading about their use of canoes at the website Indians.org. 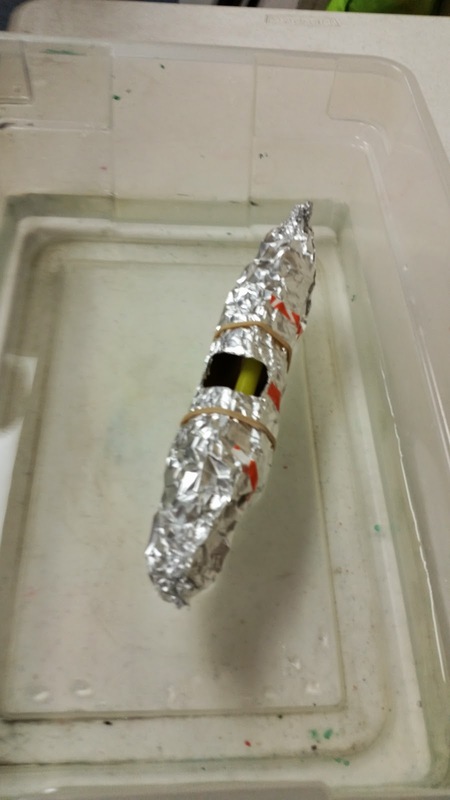 This sparked his interest even more, so we decided to do a trial and error canoe building activity. 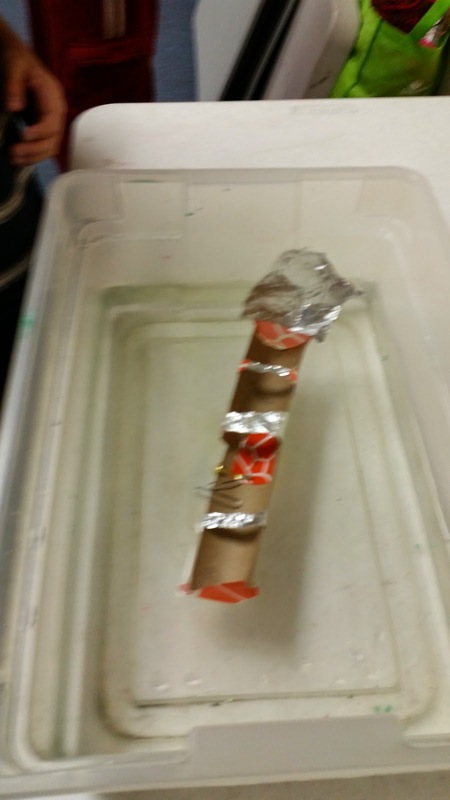 We actually completed this activity with a group of kids I teach at a co-op. We gathered a ton of random materials (paper towel tubes, straws, craft sticks, duct tape, aluminum foil, saran wrap, rubber bands, brads, paperclips, pipe cleaners, etc.) 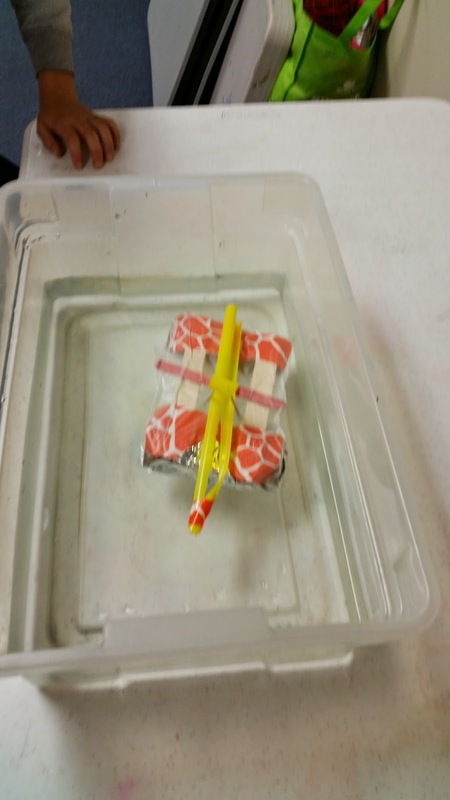 and they went to work to create a "canoe" that would float without taking on water for at least 3 minutes. He did a great job- and so did the others! 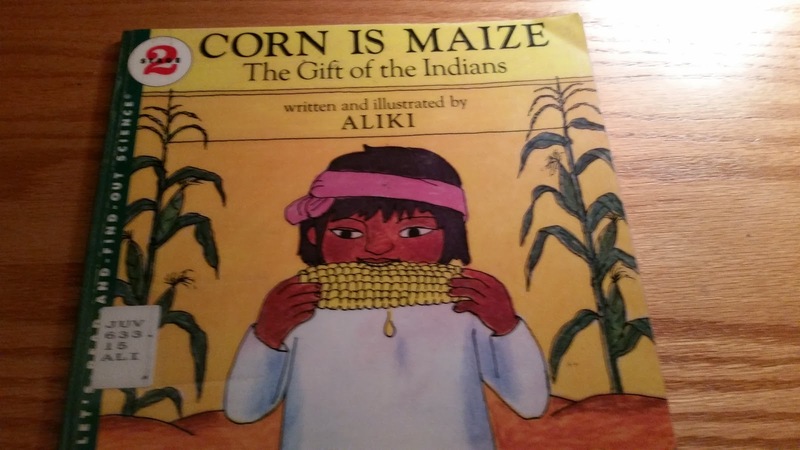 We had read about the diet of Native Americans and then proceeded to read Corn is Maize: The Gift of the Indians. We learned all about glorious corn, and how vital it was to Native Americans and their quality of life. 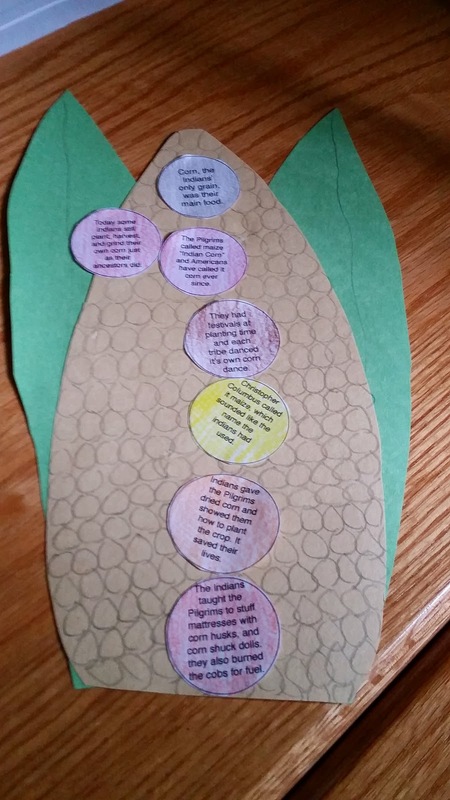 For an activity to follow our reading I took some of the most important facts about Native Americans and corn found in the text, and typed them up. We then read and discussed each one. 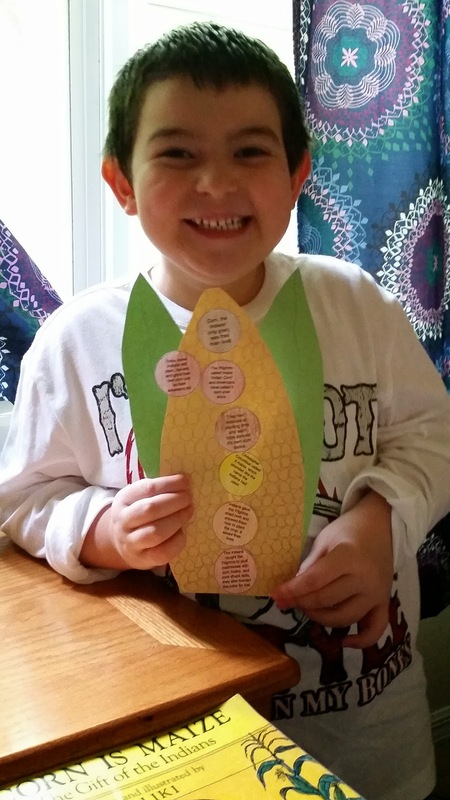 He colored them and then cut and glued them onto corn stalks that we cut out of construction paper. We used "Indian Corn" colors as described in the book. 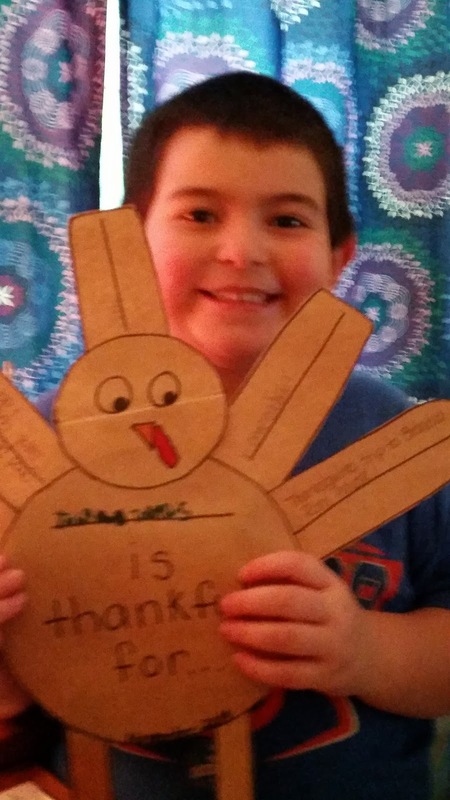 Lastly we used a brown paper bag to create this Thankful Turkey. 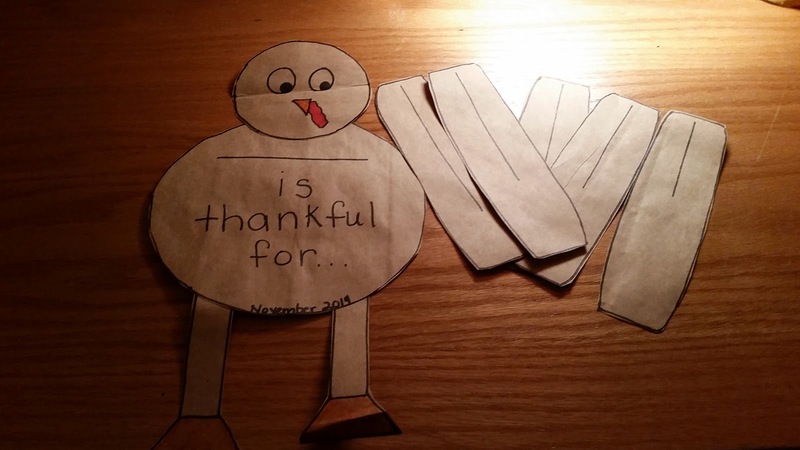 We talked about what we thought the Native Americans would have been thankful for at the first Thanksgiving. We then made a list of the things we are thankful for. Our son wrote his on the paper bag turkeys feathers. 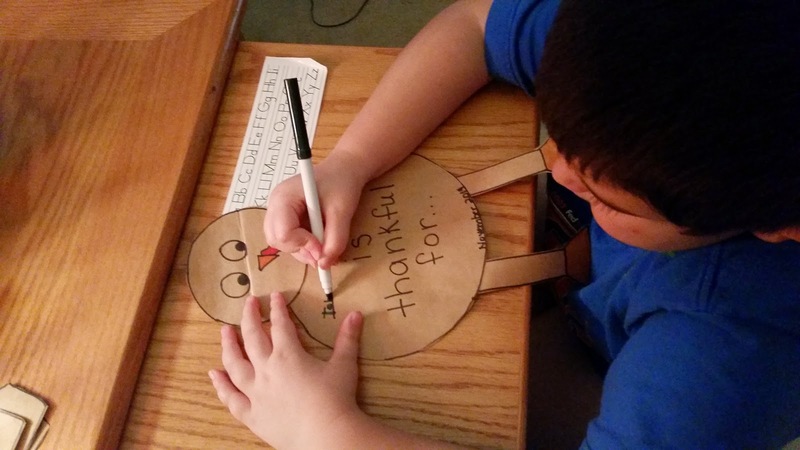 We glued them onto the turkey for an awesome thankful display. 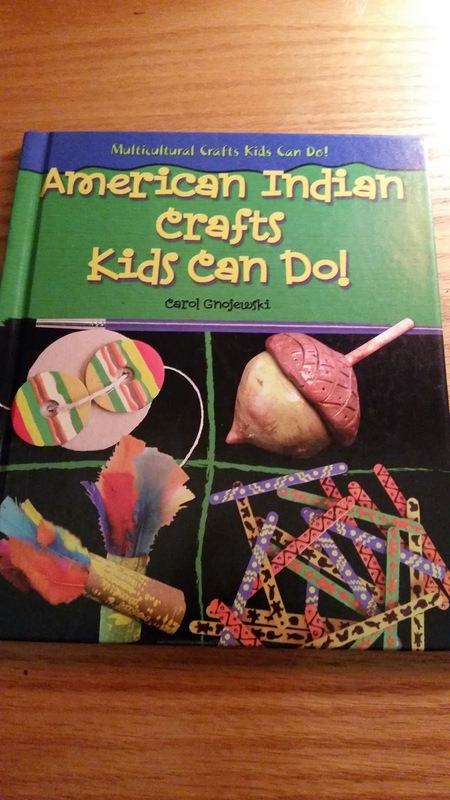 We are planning on continuing our learning by completing more activities over the holiday week from the book American Indian Crafts Kids Can Do! Wishing everyone a Happy Thanksgiving!! We'll be doing a post similar to this one each month. 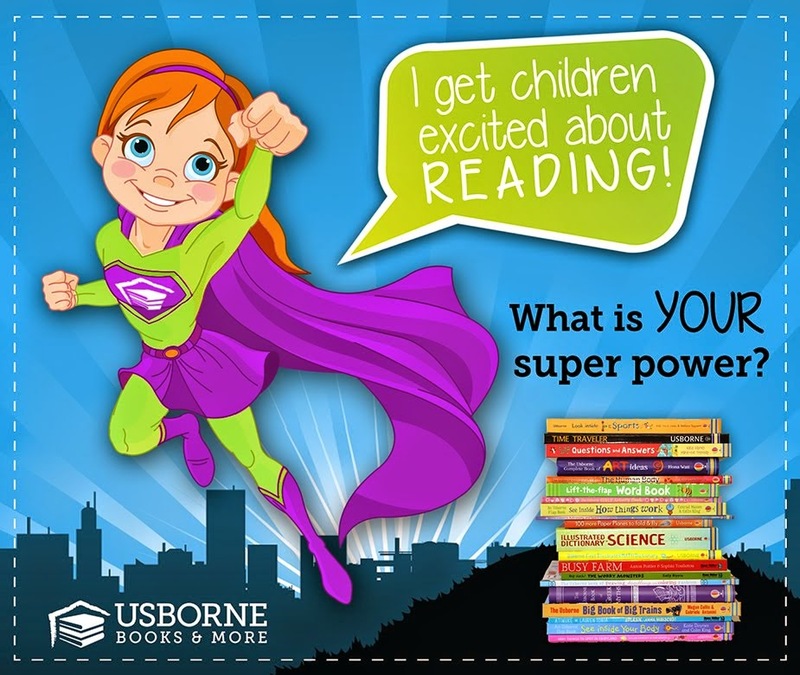 As soon as we finished this book I knew it was a new favorite! My son immediately wanted to turn back in the book and review some of the scenes. 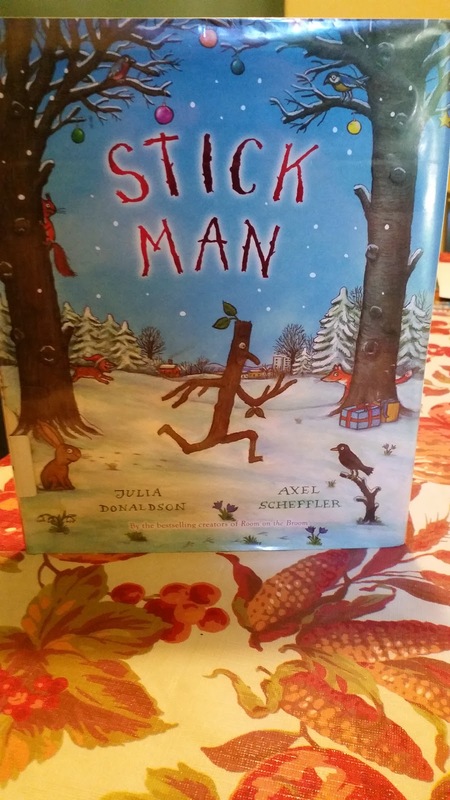 We talked all about Stick Man and his adventures. 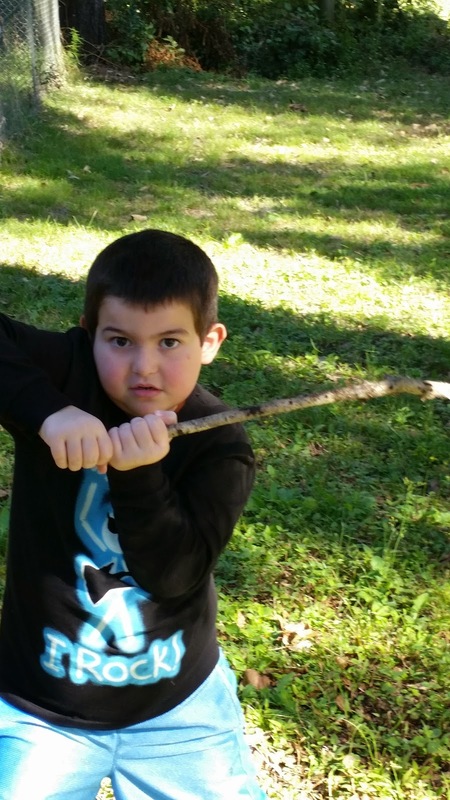 It was a beautiful day outside, so I suggested that maybe we should go out and search for a stick to create our own Stick Man. Needless to say, TC was beyond enthusiastic! So off we went to search the yard! No doubt there was a bit of imaginative play along the way! 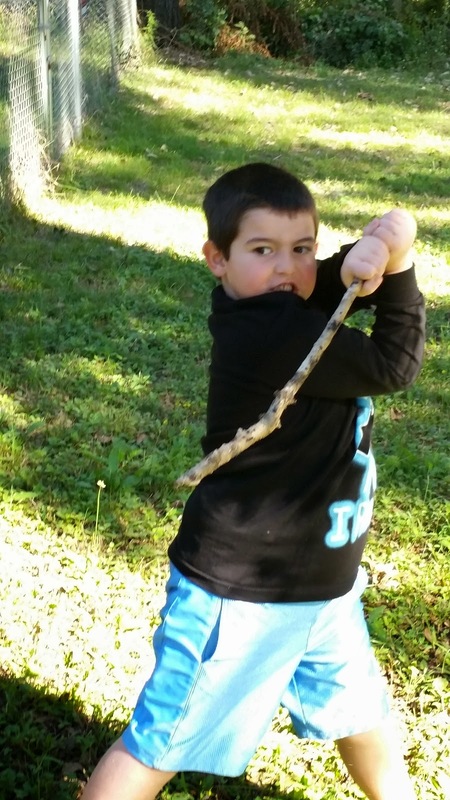 Then we found the perfect tree limb laying at the back of our property line. 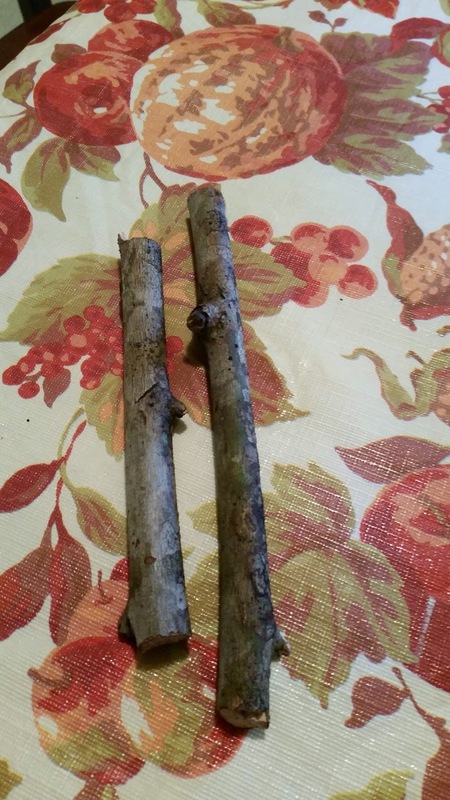 We rushed to the garage to shorten the limb and create our Stick Man. 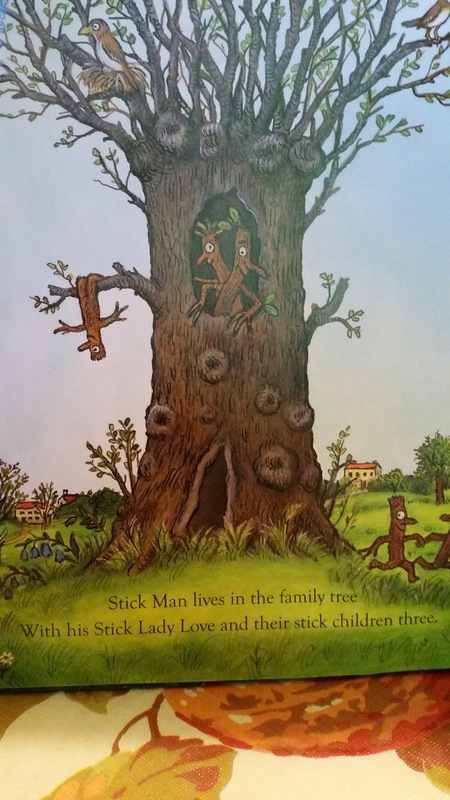 TC decided we needed to create Stick Man's wife, Stick Lady Love, as well. So I got out the saw and cut these two pieces. 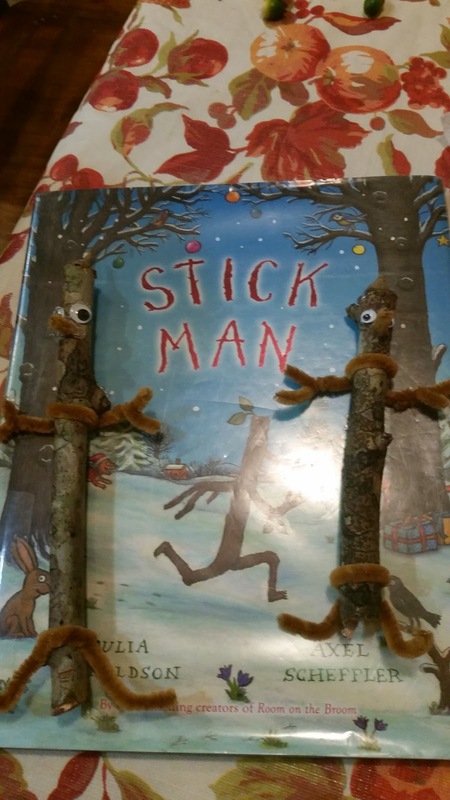 We used this page at the beginning of the book for our inspiration, and gathered the materials we had on hand to help make Stick Man and his Stick Lady Love. We used a hot glue gun, pipe cleaners, and googly eyes. Then we put our heads together and decided how to create the characters and make them as close to the book as possible. We pieced them together and TC decided that instead of making the top of their "heads" with leaves that we should give them "hats." He then ran outside and came back with two acorn tops! I thought it was such a smart and cute addition! The fun didn't end there. 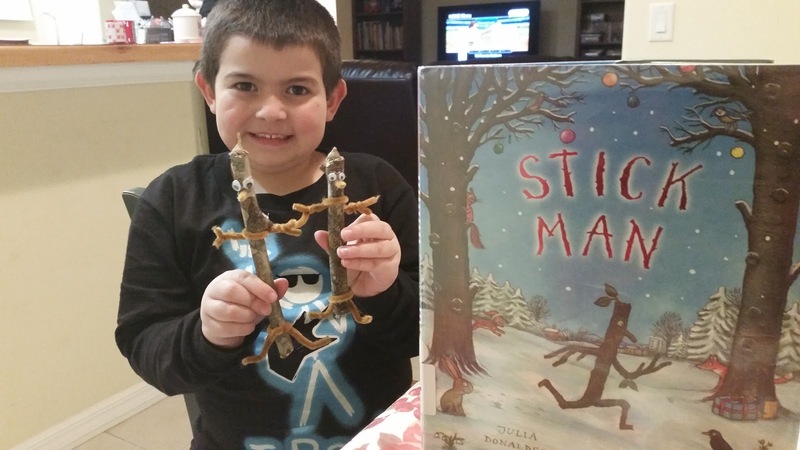 TC and I re-read the book and he used his Stick Man to act out each and every scene. Afterwards we each played a character and continued the story. 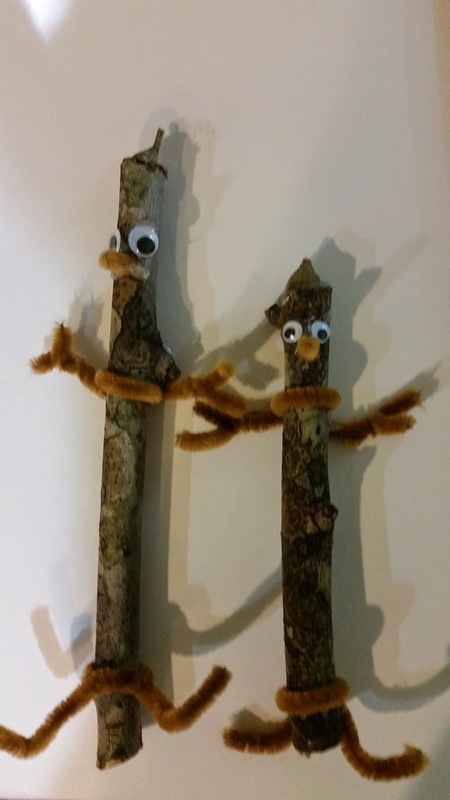 We made up the conversation that Stick Man and Stick Lady Love would have had after his adventures. Lots of laughs followed, and then my husband got in on the story stretching too! I'm sure TC and I will be reading this book repeatedly throughout the holiday season. **This book does refer to Christmas and popular Christmas symbols.